Last year, EIT RawMaterials achieved its first Horizon2020 project CICERONE in Circular Economy and became a member of one of the four consortia selected by DG Environment supporting Green Growth and Circular Economy. On 26 February, we invite you to join the CICERONE workshop to discuss the future of circular economy programming! The event is organised during the World Resources Forum conference in Antwerp, Belgium. The European Commission’s package in Circular Economy has enabled an exposition of initiatives in Europe, but the outcomes of research and innovation are not fully exploited and promoted at European level. Circular businesses and projects are fragmented, making international synergies difficult – and it has become more and more apparent that joint programming is a must to optimise impact. This 90 minute session will identify gaps and challenges to optimise circular economy programming across Europe, bringing together key stakeholders including programme owners, researchers and businesses to build a platform for efficient circular economy. The solution-based workshop will identify challenges related to seven key topics: raw materials, water, plastic, waste, chemicals, food and biomass & bio-technologies. Join the CICERONE workshop to activate the future of circular economy programming now! 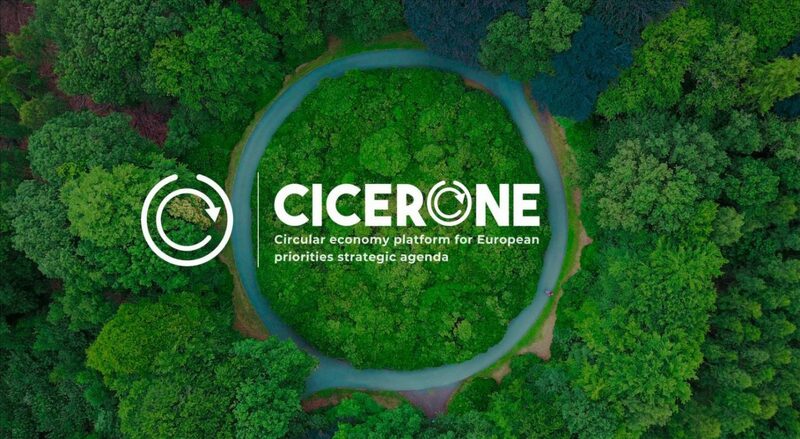 CICERONE brings together key European stakeholders including programme owners, researchers and businesses to build a common, joint platform that will accelerate the circular economy transition.